The new locations came as a result of council direction to decrease the buffer from existing restaurants from 25 metres to 15 metres. This has resulted in five new locations being added in the downtown location and additional spaces added in city parks which includes Bowen Park (east lot), Loudon Park and Maffeo Sutton Park. 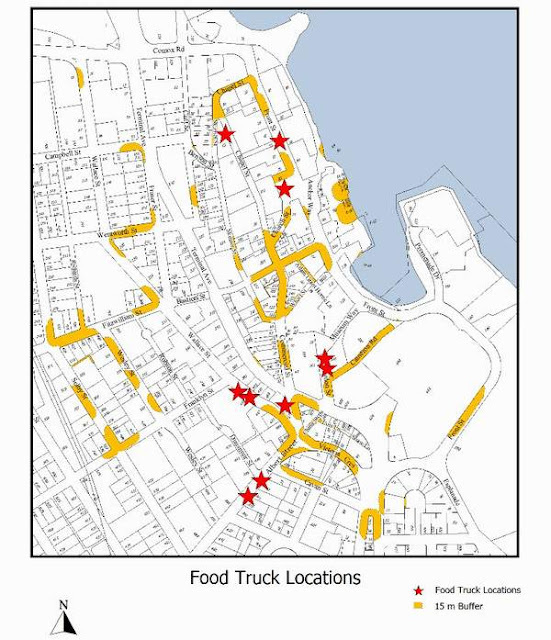 If council gives the nod to the revised plan, staff will be instructed to draft a food truck vendor licence.